Amaya has been involved in gymnastics for 20 years, starting Kindergym at the age of 2. She trained in Women’s Artistic Gymnastics for 16 years and competed at an elite level. Amaya continued her involvement in the sport through coaching and has since completed her Advanced Coaching Accreditation. 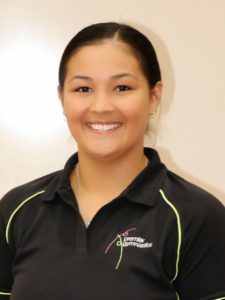 Amaya enjoys coaching gymnastics, as it is very rewarding to help shape the future of young gymnasts and assisting them in achieving their goals.